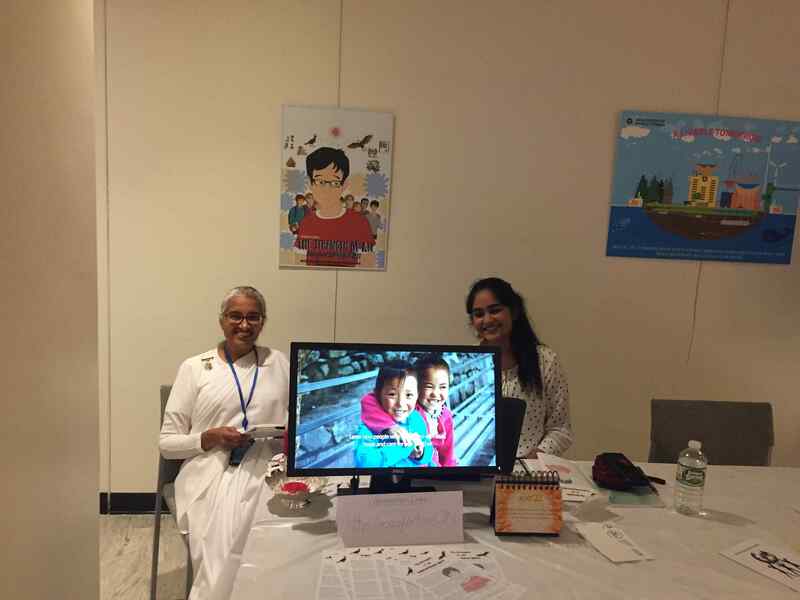 The Brahma Kumaris at the United Nations, BK Gayatri Naraine, BK Sabita Geer, BK Julia Grindon-Welch, BK Kinnari Murthy, and BK Pramity Shah attended the 67th DPI NGO Conference by organizing an exhibit, and by being a speaker on a panel at one of the many workshops. Gayatri Naraine, the main BK representative at the UN, spoke on the panel, “How to Change the World: Using contemplative disciplines in the service of peace, justice, & human rights,” along with Deborah Norris, PhD., Founder of The Mindfulness Center, and Robert Perry, Esq., Shri Rama Chandra Mission, where about 70 people attended. 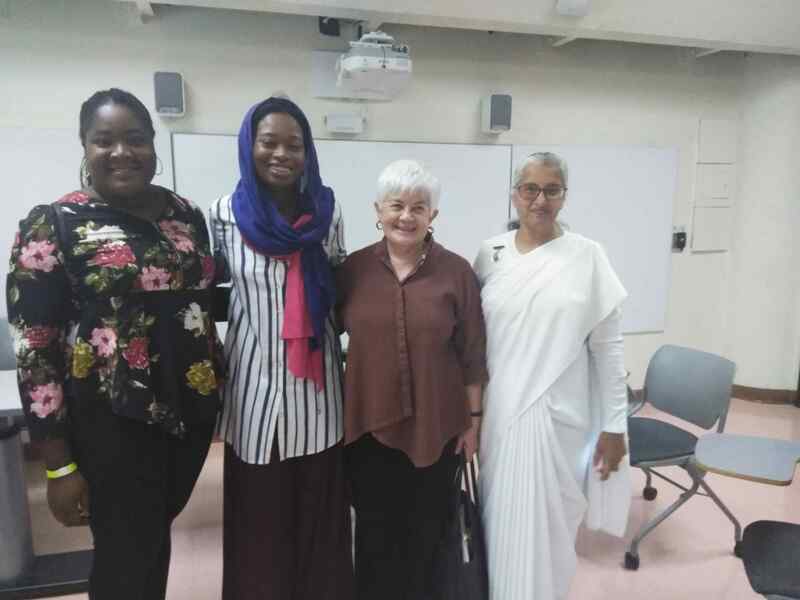 The panel was facilitated by Denise Scotto, Esq., Chair, International Day of Yoga Committee to the UN, with rapporteur Petra Schweitzer, PhD., Professor of Comparative Literature. 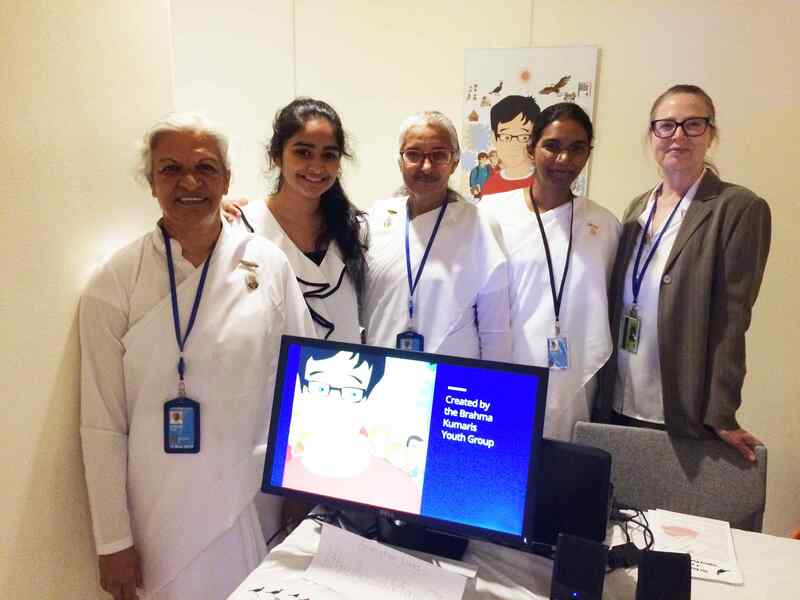 The multimedia exhibit, prepared by a group of BK youths, highlighted the potential of individuals in furthering the development agenda of the United Nations. Their proposal to the UN is to raise the awareness that when individuals are not inspired, or interested enough, they will not necessarily commit to doing anything. If their human spirit is ignited and that enthusiasm is sustained through actions, partnerships, training, and peer support, their goals will likely be achieved and many will be inspired. The annual United Nations (UN) Department of Public Information (DPI) NGO Conference was an opportunity to discuss concrete ways to take the UN’s people-centered mandate forward, in closer partnership with civil society. 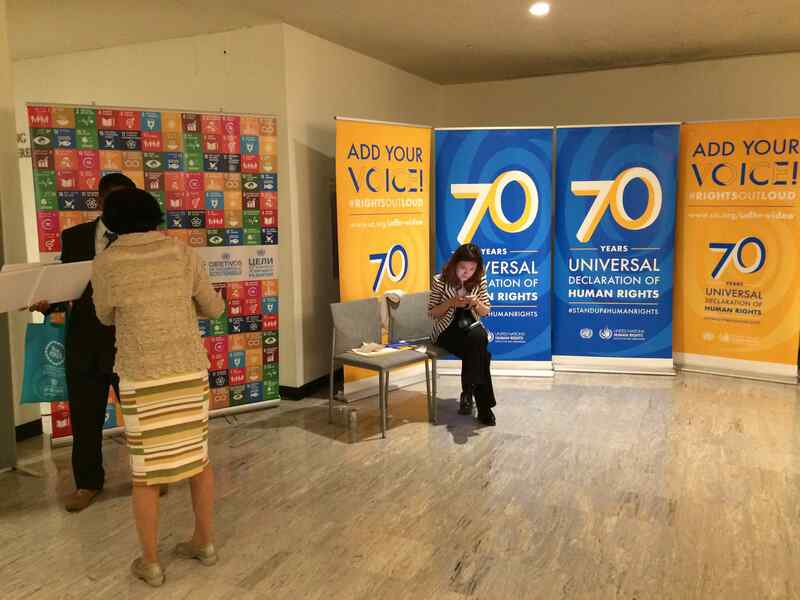 The UN Head Quarters was buzzing with high energy and enthusiasm as around 2,000 participants from over 50 countries made their way to roundtable discussions, workshops, open forums, plenaries, and exhibitions! There was even a dedicated space for youths to network – The Youth Hub. 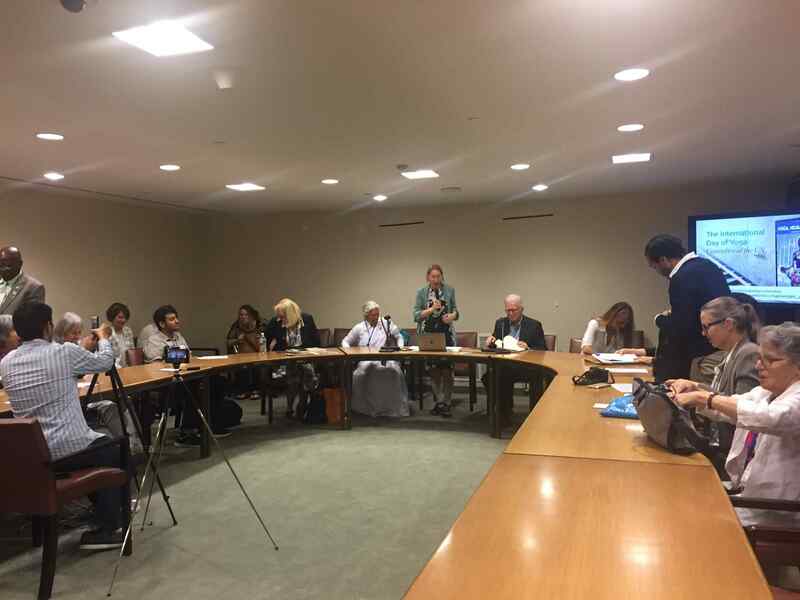 It was a 2-day conference held at the UN Head Quarters, with a post-conference networking session at the Long Island University, Brooklyn, New York. The conference ended with the dramatic theatrical performance of “Girl Be Heard” in which real-life issues were highlighted and voices of girls and women were heard.